During the holiday season, I collected Amazon gift cards from my boyfriend and from Media Insiders which totaled to $60 worth of gift cards. 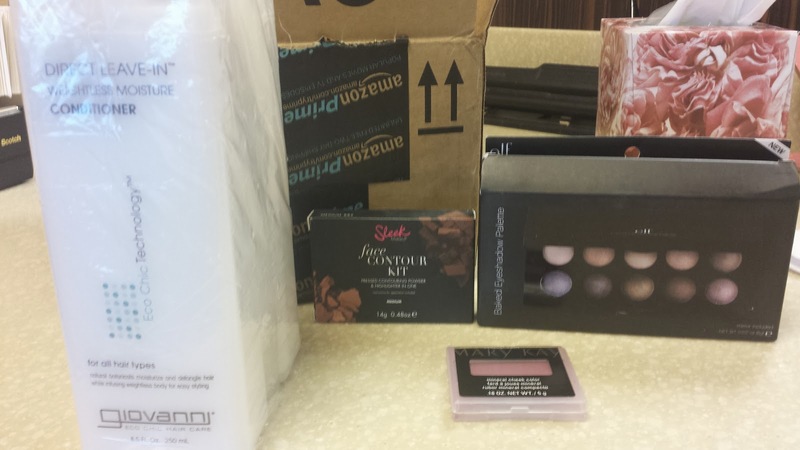 I knew I was going to redeem them for beauty products since I'm such a beauty product junkie! I'm really getting into the whole contouring my face to give my face a appearance of being slimmer. 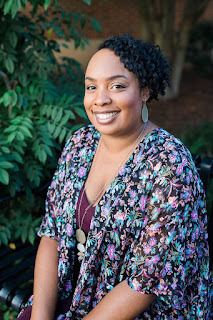 Contouring palettes seems to be harder to find for African American skin tones so I was determine to find a good one on Amazon because my current contouring powder from NYX cosmetics is just not dark enough for me, I want to bring out my cheeks a lot more and make my nose much slimmer. So that's what I made sure to get on Amazon first. 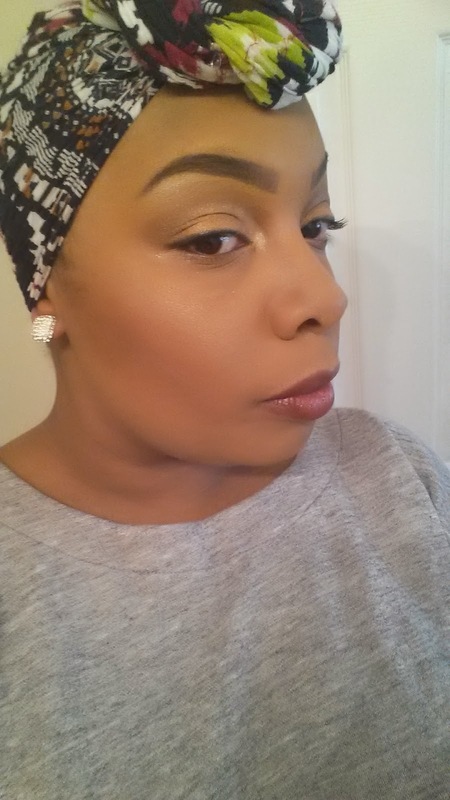 What I found was Sleek Makeup Face Contour (Medium) and I notice with the reviews it worked well for dark skin tones. Next, I wanted to find a eye shadow palette that is low price but gives a nice natural tone to my eyes with a bit of shimmer. 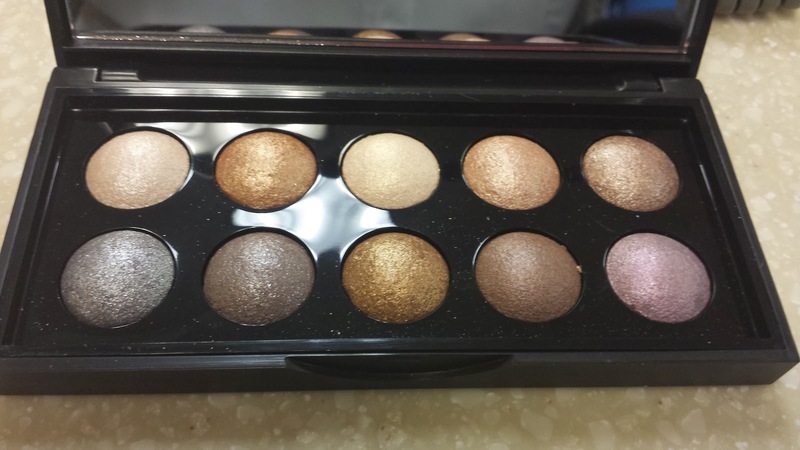 I found e.l.f Baked Eyeshadow Palette, California with 10 different neutral shimmering colors that would look good for any occasions. The reviews on it was good as well so I add it to the cart. Since I still had a bit more money left on my gift card, I wanted to find a dark blush that'll blend well with my contouring powder. During my search, I found Mary Kay Mineral Cheek Color- Dark Cherry. I like the darkness of the blush so I added that to the cart as well. At home I'm running out of my favorite leave in conditioner Giovanni Direct Leave-In Conditioner, so I got the 3 pack ($18.00) to stock up since it's always sold out at Target. I wasn't able to add a picture of the blush since my older daughter managed to drop the blush and it started crumbling apart. 1. Sleek Makeup Face Contour (Medium) $12.99- I really like this palette and it also came with a highlight. I thought the contour powder was dark enough for my liking and brought out my cheek bones and also gave my nose a slimming effect. 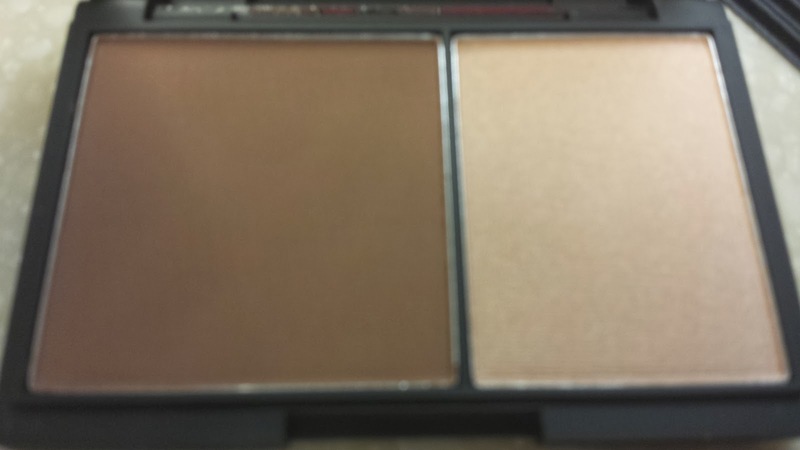 I think this palette works well for African Americans with a caramel type skin tone. 2. e.l.f Baked Eyeshadow Palette $10.00- I like this palette and I like the fact I can use water to get a more bolder look. The shadows works best when you use an eye primer first. I can't wait to expirement with all the colors. 3. Mary Kay Mineral Cheek Color- Dark Cherry $10.99- I like how dark this blush is on my cheeks and it blended well with my contour powder. You can put it on lightly for a lighter effect if you don't want dark cheeks and also use it without having contouring powder on. My order total with all the products I got was $62.68, and I only paid $2.68 for it!!!! Thanks goodness for gift cards! I wasn't able to add a picture of the blush since my order daughter managed to drop the blush and started crumbling apart. So what do you think of my makeup look? Aww thanks so much Stacie!